Magdalena Żelasko, originally from Poland, has been living in Vienna for about 20 years now. The certified marketing and advertising expert with a diploma from the Business School in Cracow studied Slavic studies, journalism and communication sciences at the University of Vienna, which she soon after rounded up with a Ph.D. in 2005. She has worked as a manager for several international companies and as a journalist for various Austrian and Polish media. The university lecturer with focus on culture and communication is also involved in a number of associations and supports several non-profit organisations. 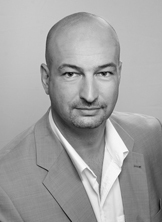 Wolfgang P. Schwelle, originally from Lower Austria, is a journalist and a PR consultant. He studied political science, journalism and communication and commercial science in Vienna, Guildford and Washington D.C. He has worked as an editor at the Wirtschaftswoche, was chief editor at the magazine Gault Millau, publisher of Modern Art Times and the presenter of the talk format Schwelle am Puls on Premiere Austria. He is the owner and director of the Troon Fields Company for communication consulting, which he founded in 2001. One of his commissions involved conceptualising and managing the image agenda of the country of Ukraine. Further, his book Alkohol. Die mächtigste Droge der Welt was published in 2013. Born in Serbia, Aleksandra Antic has been living in Vienna since 2004. She studies Romance Studies and History at the University of Vienna and is involved in various cultural and social projects. Since 2014 she has been part of the core team of LET’S CEE and is responsible for cinema management and coordinating the volunteers. Boris Beker, a true CEE citizen with roots in Serbia, Germany and Hungary (alternatively: globetrotter and workaholic), studied Journalism and Communication Sciences at the University of Vienna. He worked in the Parliament of Vojvodina and for agencies in the PR and advertising industry in Austria and Southeast Europe, before he founded his own agency network in early 2010. Since 2015, he has been supporting the LET'S CEE Film Festival in the area of communication, especially with a focus on countries such as Hungary, Bosnia-Herzegovina, Serbia, Macedonia, Bulgaria, Romania etc. Gloria Dimmel studied Slavic and Scandinavian Studies at the University of Vienna, focusing on Russian and Danish. She was able to deepen her language skills on various stays abroad at the Herzen University of St. Petersburg and the University of Copenhagen. 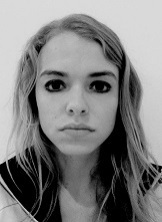 She further gained work experience in publishing and art and culture management. 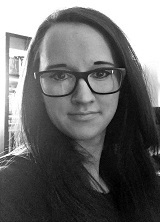 She has been part of the LET'S CEE team since 2014 and was responsible for translations and editorial work. She became Editorial Director for festival publications (catalogue, programme booklet) in 2016. 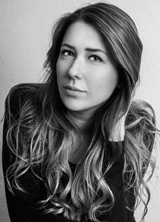 Lora Djurovic, originally from Serbia, is a professionally trained actress with a master’s degree in Project Management in creative industries. She finished the Academy of Arts (Department of Drama) in Belgrade as well as the Faculty of Organisational Sciences. 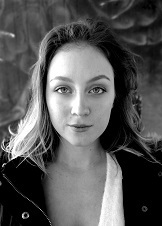 She played in several theatres in Serbia and previously worked for other festivals. Lora has extensive experience in moderating major events. She speaks various foreign languages including English, Russian and other Slavic languages. Monique Ehmann, born and raised in Mecklenburg-Vorpommern, studied comparative literature and theatre, film and media science in Vienna. Her studies and jobs lead her to various stays in Australia, France and Russia. In Vienna she was not only employed as research assistant at the university, but also worked in dramaturgy in numerous theatres (e.g. Burgtheater, Volkstheater, Dschungel Wien). She is involved in aid to refugees and, furthermore, a fellow at Teach for Austria. 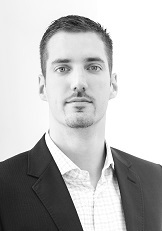 Born and raised in Vienna, Paul Gatternig was active in a tax consultancy agency after having finished his studies at the Vienna University of Economics and Business (WU Wien). 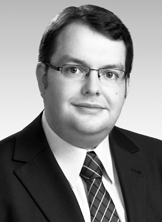 Paul Gatternig is now an executive partner of Hermes Treuhand Steuerberatung (Hermes Tax Consultancy ltd.) in Vienna. Apart from tax and business consultancy services, his competences also include the implementing of controlling solutions such as cost accounting and budgeting, start-up consulting as well as consulting services during and realisation of company acquisitions. 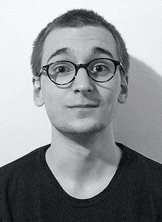 Marek Golonka comes from Poland where he prepares his PhD in Culture Studies at University of Warsaw and teaches game design at Kazimierz Wielki University in Bydgoszcz. His research often takes him to other Central European countries, especially Austria and Hungary, and he is proud to be part of LET'S CEE Guest Management team for the festival’s 6th edition. 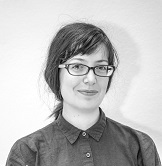 Born in Graz, Susanne Gottlieb spent many years in Germany and has been living in Vienna since 2006 where she studied Theatre, Film and Media Studies, Journalism and Communications Sciences. She works as a free journalist in the field of film and city life and has reported from various film festivals as a critic. She joined LET’S CEE for the sixth edition in communications and press work. In 2016 Ronny Günl took up studies in Theatre, Film & Media Studies and Philosophy at the University of Vienna. 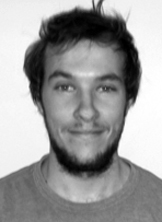 Alongside his courses he works as a freelancing editor and graphic designer with various clients and organisations. He has been collecting practical experience in the cultural sphere for a while now, which brought him to the LET'S CEE Film Festival in January 2017. Nika Ham was born in Slovenia and has graduated from the Academy of Fine Arts and Design in Ljubljana. Currently, she is about to finish her Master's degree. Although she originally majored in painiting, she developed an interest in graphic design, video, animation and 3D design and has worked in those fields for years. She also studied in England and was involved in many projects, such as the New Year's Decoration in Ljubljana. Moreover, Nika was teaching at an art School, organised her own painting courses, participated and curated solo and group exhibitions and worked on various poster designs and print preparations. 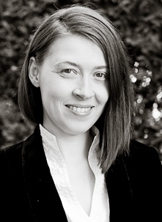 Alexandra Jesenko, born in Carinthia, studied Ancient History and Archaeology in Vienna. Meanwhile she gathered work experience at various festivals and cultural institutes. In 2016, she completed a training course in Event Management at Werbe Akademie, Wifi Vienna. Having supported the festival in ticketing in 2014 and 2015, she has been responsible for festival cooperations and the frame programme. Stefan Klatev was born in Sofia and moved to Vienna in 1994. He received his degree in Slavic Studies at the University of Vienna. He has been working with refugees since 2006 and volunteering for LET’S CEE since 2012. Some might know him under his pseudonym DJ Bate Gojko. Cristina-Estera Klein was born in Romania, grew up in Tyrol and lives in Vienna since 2009. She studied Journalism and Communication Science, Romance Studies (Spanish and Romanian) and History at the University of Vienna. Since 2015 she is has been working for LET’S CEE various areas, lately coordinating the School Cinema. 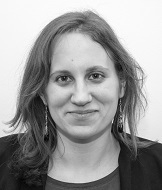 Marion Kogler, born and raised in Tyrol, motved to Vienna in 2012, where she studies Political Science with main emphasis on migration as well as Media Studies and Communication Sciences. She gathered work experiences through multilple internships in economics fields. She has been supporting LET'S CEE since 2016 with editorial work, but is primarily in charge of the CEE communities. 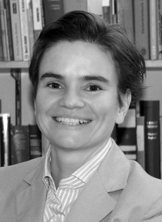 Anna Maculewicz studierte Soziologie, Politikwissenschaften und Sprachwissenschaften in Warschau, Posen und Freiburg (Schweiz). Derzeit schließt sie ein Studium der Transkulturellen Kommunikation an der Universität Wien ab. Ihre Erfahrung aus der Arbeit in Kulturinstituten, der Tourismusbranche und eigenständigem Reisen durch Zentral- und Osteuropa setzt sie für die optimale Betreuung der Festivalgäste ein. Sie spricht Polnisch, Deutsch, Englisch, Rumänisch, Russisch und Französisch. 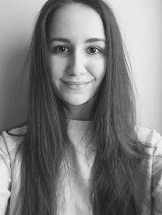 Nina Mihailovic, was born in Serbia and has lived in Vienna since the age of four. She started studying Theatre, Film and Media Studies in 2016 and has already participated in various theatre and performance projects. She is involved in the LET'S CEE Film Festival for the first time this year. Aleksandra Modzelewska was born and raised in Poland. She has been studying Translation at the University of Vienna. Aleksandra worked as an English teacher and later as an Office Manager. 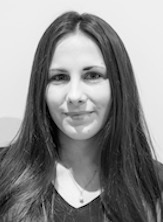 She speaks Polish, English and German and has been part of the LET’S CEE Team since 2017. 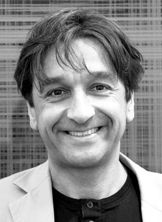 Denis Mujović was born in Priština, raised in Sarajevo and is of Dutch nationality. He studied Business Administration, Photography and Video as well as Film Production in the Netherlands. He is founder and was director of Eastern Neighbours Film Festival in the Netherlands. 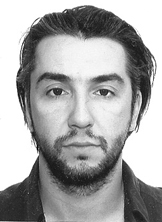 Denis Mujović took part in the feature film Joy, which won Best Dutch Production in 2010, in the TV series Bojimans TV, awarded with Museumprijs in 2010, and recently in the road movie Meet me in Venice, which was awarded at Woodstock FF. His projects include short and feature films, music videos and event productions. As of late, Denis Mujović has been working on different film projects in Vienna with his production company New Ground Productions. In 2016, he founded Dutch Film Days Vienna. 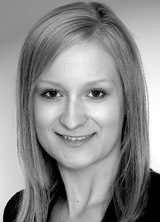 Born in Upper Austria, Gabi Pachler studied Translating and Interpreting (her combination of languages being German, French and Spanish) at the University of Vienna and attended the university programme for tourism at the Vienna University of Economics and Business (WU Wien). She worked as a translator for the Creditanstalt Bankverein and the Embassy of Peru. She is currently working as a freelance translator and supporting several social projects, such as Le+O Lebensmittel und Orientierung (food and guidance) organised by Caritas Vienna. 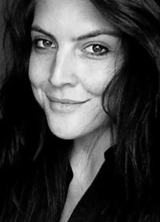 Eva Pakisch comes from Tirol, she studied Journalism as well as Theater, Film and Media Sciences at the Vienna University. 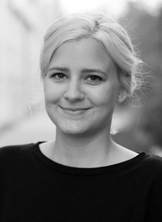 Most recently she was an editor-in-chief at the Culture Department of “Raiffeisenzeitung”. Before that she had been working for many years as a freelance journalist. At the Diagonale07 she worked as a press assistant. Currently she is writing an art blog “Artinwords.de”. Croatian Andrija Perkovic was born in Vienna and completed his Bachelor’s degree in Economics and Politics at the University of Essex last year. He used the following year to gain work experience in the field of arts and culture. 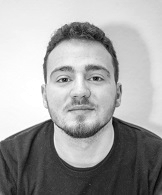 Andrija joined the LET’S CEE core team in 2018 and is mainly involved in sponsorship and assistance. 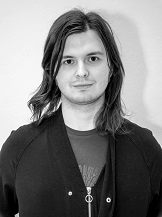 Born in 1991 in Baden, Tobias Perschon studies Medical Computer Science at TU Vienna. He was on the municipal council of the municipality of Baden for five years and used to be a member of the board of Baden's Green Party for many years. Since 2012 he has been self-employed, splitting his two trade licences into two separate firms, Stageware Veranstaltungstechnik e.U. and Bitconnect EDV/IT Dienstleistungen & Handel e.U., in 2014. The latter firm has been taking care of the maintenance and support of the LET'S CEE Film Festival's website since 2013. 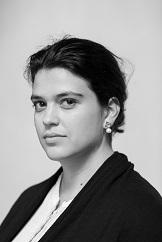 Linda Pospichal, born and raised in Salzburg, has lived in Vienna since 2010, where she studies Theatre, Film and Media Studies at the University of Vienna. Due to family roots in the Czech Republic, she was raised bilingually and developed a special affinity to Eastern European film already early on. She gained professional experience above all in the cultural and social sector, as well as in the financial sector. She has been part of the core team of LET’S CEE since 2017. 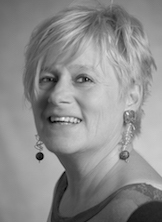 Alice Rabl, born in Vienna, has graduated in translation science at Vienna University (in English and French) and looks back on more than 25 years of experience as a full-time translator in various technical fields. 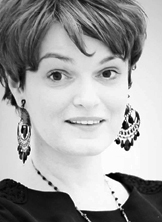 Since 1994, she has been managing director of her own translation agency All Languages Alice Rabl GmbH. Relying on a team of 8 dedicated employees, the company provides translation & interpreting services in many languages and technical fields (the company’s services are certified under the European standard for translation services EN15038). Leonhard Reis works as a lawyer. His practice areas involve the interface between art, culture and law, particularly in the comprehensive legal advice relating to film productions. 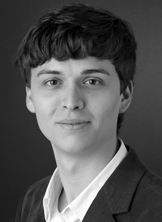 He also works as a lecturer at the University of Vienna, teaching research and technology law, and at the University of Applied Sciences in St. Pölten, where he teaches copyright law and IT law. Rice regularly gives guest lectures and talks on his areas of expertise in Austria and abroad and has authored numerous publications. 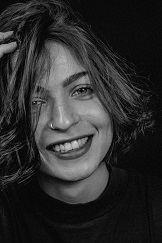 Born and raised in Vorarlberg, Leila Renn is currently in the process of finishing her BA studies in Theatre, Film and Media Sciences at the University of Vienna. Besides her theoretical experiences she gathered during her studies, she supports the LET'S CEE Film Festival as an intern at the moment. Marion Schlosser was born in Vienna and grew up in Lower Austria. Following her bachelor degree in Theatre, Film and Media Sciences she is now studying for her master’s degree at the University of Vienna. In her spare time she publishes movie reviews on various film blogs. Since 2017 she has been working for the LET’S CEE Film Festival as a coordinator of the moderators and assistant to the festival direction. 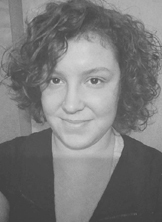 Tabea Schweiger graduated in 2017 with a Bachelor’s degree in Slavic Studies focusing on Czech and is currently studying Theatre, Film and Media Studies at the University of Vienna. She was able to strengthen her language skills through various stays abroad, voluntary projects and internships. Since 2015, she has been supporting the LET’S CEE Film Festival, and is currently responsible for the School Cinema. Born in Vienna, Barbara Sirucek studied communications as well as theatre, film and media studies at the University of Vienna. 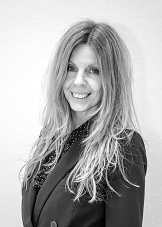 Besides her professional experience at the economics publishing company Österreichischer Wirtschaftsverlag and the national broadcasting company ORF, she has been part of the LET'S CEE Festival TV Team since 2014, which she has been heading since 2017. 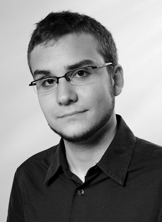 After his studies in Frankfurt and Vienna (German philology, BA, and political science, MA), Tobias Spoeri enrolled in the doctorate program for political science at the University of Vienna in 2013. His academic focus lies on Central and Eastern Europe, theories of democracy and the EU. Additionally, he has been a scholar at the Institute for Advanced Studies Vienna since 2013 and has functioned as university assistant at the Department of Political Science/University of Vienna since 2015. Meanwhile, he interned at the Federal Agency for Civic Education in Saarbruecken as well as the ZDF in Mainz and worked as a tutor at the Goethe University in Frankfurt/Main. He has been part of the LET’S CEE Film Festival since 2013. 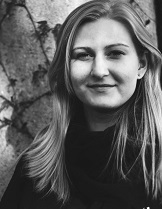 ANNA WAGNLEITNER, BA Bakk. Phil. Salzburg resident Anna Wagnleitner has been living in Vienna for four years following several relocations, including to the USA. 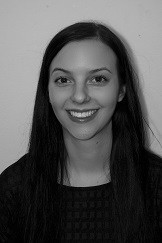 Anna studied Theatre, Film and Media Sciences and Journalism and Communication Science at the University of Vienna. She is currently studying for her Master’s degree. 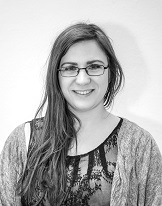 Anna has been volunteering at the LET'S CEE Film Festival since 2017. 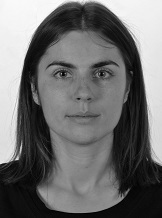 Katarzyna Wojciechowska, a native Polish, completed German Philology at Adam Mickiewicz University in Poznań and Cultural Studies at Viadrina European University in Frankfurt (Oder). She was able to accumulate relevant work experience in the fields of event organisation and marketing and sales in Poland, Germany and Austria, where she decided to settle down in Vienna. The combination of art and commerce is her speciality. 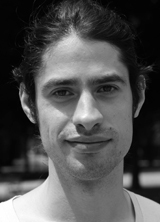 Fabian de Zordo from Carinthia studied Cultural and Social Anthropology at the University of Vienna. Within his master’s degree of Interdisciplinary Eastern European Studies he focuses on urban planning and social movements in the CEE region. His interests lead him to the LET’S CEE Film Festival, which he supports as part of the core team in coordinating the short films and taking care of the festival software and data bases.